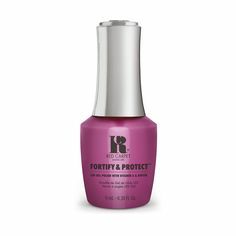 Color Dip is the latest innovation in at-home nail technology from Red Carpet Manicure, so if you love bold, long lasting colours, but need something a little stronger than a traditional Gel polish, this is the system for you! Color Dip is a dipping powder system that requires a specialist Base, Top, and Activator in order to work, with little to no dry time and leaves you with the perfect mani for up to 21 days, but doesn’t require an LED Light. Nail Prep. Make sure your nails are prepped and ready, why not view our tutorial video on nail prep, here. Be Prepared. Before applying the Base Coat or thinking about dipping make sure you have everything you need within reach. 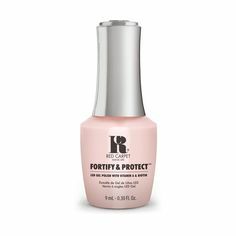 On first application of the Base always leave a small gap around the cuticles and side of the nail to allow the second coat of Base and your chosen powder to go closer to create a smoother, sleeker finish. Speed is king with this system, the quicker you dip, the better the application of powder, also be sure to not wiggle your finger around in the powder as this could cause an uneven finish. Give your Activator layer a few seconds to dry before applying the Base Coat again or the Top Coat. Be sure to put the lid back on the Base, Top or Activator between uses, this stops the product drying out. Wipe any brush clean that touches the Activator. This will keep your products in better condition. If you’ve chosen a bright shade, make your Color Dip mani pop more by applying one coat of Top Billing first. Going full on glitter? Applying Natural Sheer first makes for a smoother removal or applying Top Billing (white) will make the glitter stand out more. Buff the top coat away to remove the shine from your Color Dip Manicure. Use our Removal Wraps, and soak in our Erase, apply to the nail and leave for 10-12 minutes, the longer you leave it, the easier it will soak away. Gently buff away any remaining product, if the product cannot be gently buffed away then re-soak for another 2-3 minutes. We recommend doing one nail at a time so that the product does not set again as you buff the previous nail. Always remove properly, taking time to properly remove your Color Dip manicure keeps your nails healthy and strong. Applying a daily cuticle oil also helps keep nails in good condition. We love the Hyper Hydrator from our new treatments range. Need a Step by step? View our blog post here, or video here. Looking for a removal how to? View our tutorial video here. Shop all colour dip here, don’t forget your Base Coat, Top Coat & Activator! Each Colour Dip shade is £14.00. Don’t forget to share your Color Dip creations with us on Facebook, Twitter and Instagram!